Why I read this book: It seemed like a good idea at the time. Some time ago, I made an exception to my usual rule of reading the book before watching the version that moves and talks like it’s really happening – I watched the movie adaptation of The Beach. You know, that particularly fine piece of cinematic splendour (and I say this with heavy, heavy irony) starring the freshly post-Titanic Leo DiCaprio. And then, some years later, I randomly chanced across the book in the library. So I read it. In a nutshell, the book is about a secret, closed island community off the coast of Thailand set up by backpackers bored of the overrun tourist-trap beaches on the mainland. It follows a young backpacker (and, to an extent, his acquaintances) as he attempts to reach the community when a mysterious man named after a Disney character gives him a map. This man then proceeds to kill himself in a spectacularly gory way. Interested? Yeah, I kind of was too. Especially because I’d heard that it differed quite significantly from the movie. What I hadn’t realized at the time was that differing from the movie adaptation does not necessarily mean the original book is any better. According to Wikipedia (the most accurate source of information known to humanity), the author Alex Garland claims to have accumulated a larger number of movies watched than books read. Yeah. It shows. 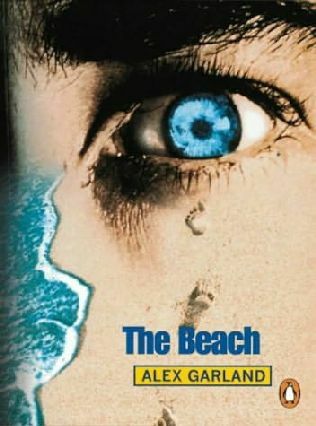 The Beach comes across as a book that is very much a product of cinematic techniques. It consists of a collection of short chapters, each one something like one of the scenes in a thriller on the big screen – punchy, engaging, full of anticipation. That’s the best thing about the book, in my opinion: You can’t stop turning the pages because the tension keeps building, even when the characters aren’t doing anything very important in particular. Especially because the characters aren’t doing anything important in particular. There is a moment within the climax when the shortfalls of Garland’s movie-inspired style make a conspicuous appearance. It’s a particular point when it seems the scriptwriter in him has envisaged a full-blown action sequence, but feels that words are unable to evoke the same excitement that a technicolour punch-‘em-up would. So just when I was bouncing in my seat, keen to know more about what happened next… He left the scene hanging and ended the chapter with a cheerily frustrating ellipsis, like so: “…” That’s right, he made his climax fade to black like the cliffhanger at the end of a movie. I could have wept in frustration. If you’re looking for a reasonably intriguing thriller, this book is for you. But if you’re looking for character development, you might want to look somewhere else. I give The Beach 2.5 stars, and largely for the chapters when Richard wanders through the jungle pretending to be in Apocalypse Now. Very interesting review! I don't know if I would have been able to take this... so kudos to you for taking one for the team! I don't think I could handle this book...I would just get too frustrated. :P Thanks for the review! I don't remember being particularly frustrated. I read the book before I saw the movie, I think, so I didn't really have anything to compare it to while I was reading.